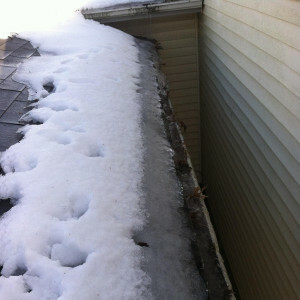 Home » Blog » Roofing » Has The Snow Caused Your Roof To Leak In Lexington, KY? Many Lexington residents are noticing spots in their ceiling after all the snow storms this year. This comes as no surprise. Most of these leaks are due to what is called, “Ice Damming” or an “Ice Dam”. 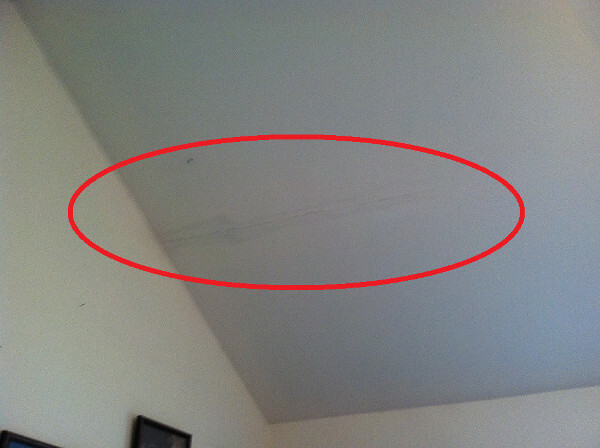 Obviously there are other reasons a roof can spring a leak and start to stain the ceiling. For now, let’s focus on the effects of snow and how it leads to water penetration through ice damming. Have other signs of possible issues? Find out if your home has been damaged by wind & hail. Call us for a free roof leak inspection! 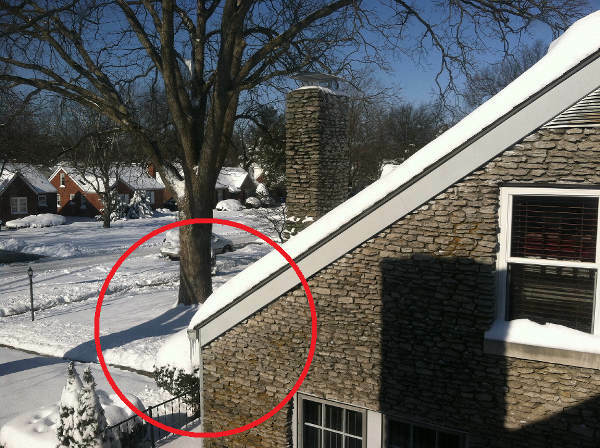 When a roof is covered by snow and it begins to melt, it melts from the top down. Most often the temperature drops back below freezing before all of the snow can exit the roofs surface and solid ice forms at the bottom edge of the roof. The reason for this is most attics are warmest at the top and coolest at the bottom because, as we all know from school, heat rises. So as the snow melts and runs down the surface area, it cools back down more and more as it makes it’s way to the edge of the roof. When this happens, it creates an Ice Dam. What do ice dams do? They trap and prevent the flow of water. Ever hear the old saying, “Water always finds a way”? Well, in this instance, because your shingles are designed to shed water as it runs down them and not the other way around; when water is standing still, it penetrates the surface by means of flooding back up under the shingles. Most roofing companies in Lexington, KY aren’t equipped with ice and water shield because we don’t typically get enough adverse weather and snowfall to create large enough ice dams to worry about damage. Nonetheless, ice damming can pose a serious threat for not just the ceiling inside your house, but also the insulation in the attic and the decking that supports the shingles and underlayment. Most leaks caused by this scenario are covered by your insurance carrier to a certain degree because the damage is still technically a “Sudden Loss”. This is but one of many reasons why, here in Lexington, a lot of us are noticing those nasty stains in the ceiling that weren’t there last year or the year before. As we move closer to spring, there are plenty of options for Fayette county residents, to prevent further damage from happening. Call us today 859.368.6346 to schedule a free roof inspection or leak inspection. Not only can we help you temporarily prevent further water penetration, but we can definitely help you get more of it paid for by your insurance carrier when you go to file a claim. We may discover enough overlooked wind damage or hail damage to justify more than just a minor repair. You may end up with a full roofing system replacement along with the repair of the interior damage. If that’s the case, we can then install Ice and Water Shield to prevent that nasty leak from ever happening again!